Large wind turbines spinning in the background of a magnificent landscape are not such an exceptional sight anymore. 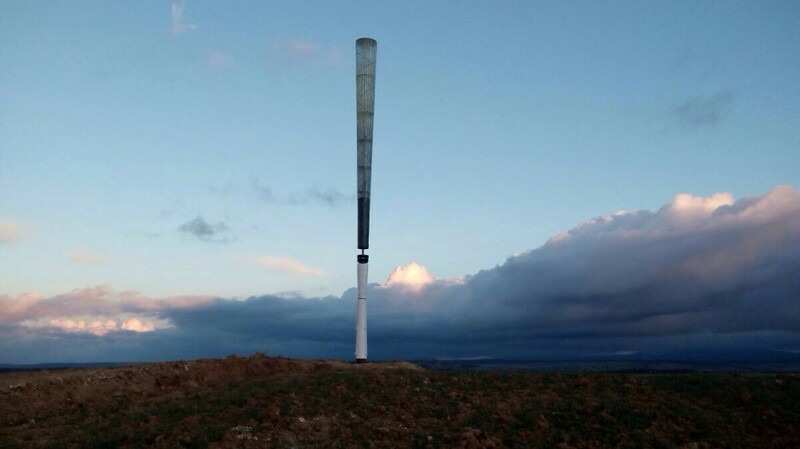 But the Spanish start-up Vortex Bladeless proposes a whole new way of generating electricity from the wind, without any rotor. Using the vortices of wind that flows around the bladeless wind turbine, the asparagus-like structure starts resonating. With a system based on the same principles of an alternator, electricity is generated in a magnetic connection with no bolts or gears. This is one of the biggest advantages of the Vortex since it requires less maintanance and the initial cost is much lower. In addition, on the same patch of land you can put twice as many vortex devices than spinning wind turbines. The Vortex Mini is estimated to produce 4kW, a larger version, the Vortex Gran, is planned to generate at least 1MW.